The opener hit 127 to take his season’s tally to 735 and confirm his side’s place as runners-up behind champions St Cross. Collings-Wells’ consistency, which has seen him hit five half-centuries, has been key in Burridge’s success. He shared a 246-run second-wicket partnership with Richard Lock (113) in a total of 343 for four at Alton. Azimunoor Chowdhury also weighed in with 53 not out. Alton were then restricted to 188 for five, with Nick McMurray and Sullivan White taking two wickets apiece. 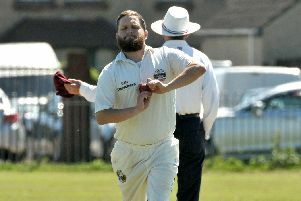 Leaders St Cross made sure they did not hand Burridge the title with an easy six-wicket win at Lymington. Elsewhere, Richard Hindley once again underlined is quality in Havant’s eight-wicket win at Bashley. The all-rounder, who recently became the first bowler to take 500 wickets in the top flight, struck 103 not out. Skipper Chris Stone hit 56 not out as the 2017 champions easily chased down a target of 226 to finish in sixth spot. 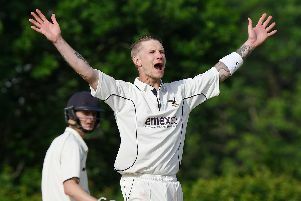 In division one, Sarisbury Athletic made sure of the runners-up spot with a 10-run win at OTs & Romsey. Sam Floyd (46), Tom Mills (55), captain Ricky Rawlins (77) and a late cameo from Jordan Wright (22 not out) saw them post 229 for five. Josh Hill and Jordan Wright then took three wickets apiece before Cameron Pye late double sealed a narrow win. Portsmouth finished with a 69-run win over Liphook & Ripsley. James Christian (84) and Jack Marston (47) laid the foundations with a 103-run third-wicket partnership in the home side’s 243 for five. Dan Wallis (26), Prad Bains (28 not out) and Joe Kooner-Evans (24 not out) also played their part. Vikram Dawson (four for 46) and Andrew Marston (three for 20) made sure there was no threat from the visitors.